Ubisoft will demo the open-world game at PAX East. Watch Dogs will reportedly run at 1080p on PlayStation 4, but the resolution for the Xbox One version is still unclear. According to CVG, cinematics animation lead Lars Bonde said in a video interview — which has since been taken down — that Watch Dogs, to his knowledge, will run in 1080p on PlayStation 4. Bonde, however, failed to mention the resolution for the Xbox One version. "We are utilizing Xbox One to its full capabilities and the same with PS4, of course, so I know that, as far as to my knowledge, on PS4 it will run in full HD," he said. 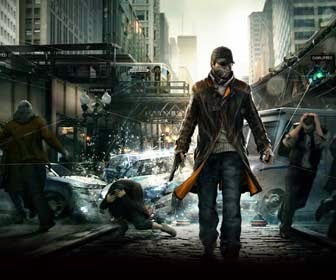 Late last year, Ubisoft said that the PlayStation 4 and Xbox One versions of Watch Dogs would both run at 30 frames per second, but did not detail the resolution for the open-world game set in Chicago. Yesterday, Ubisoft revealed that The Crew will run at 1080p on both home consoles.